Jenny is a candy addict. Lydia is a complete klutz, and a "know-it-all" shrink's daughter. Prairie has an artificial leg. And Max -- well, Max is in a class by herself. 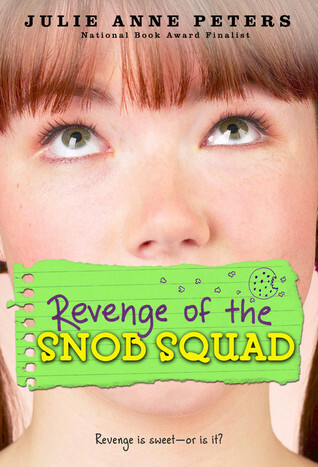 The four of them are forced into becoming a relay race team in gym, and call themselves the "Snob Squad" as a joke. Soon, to their surprise, they find they've become friends -- and band together against principal's daughter Ashley Krupps, who has been making their lives miserable since the beginning of the school year. Their hilarious revenge tactics -- and the story's underlying poignancy -- will have readers cheering for more. "If they gave out a World's Worst Whiner Award, Lydia Beals would get it. She was already an official member of the Mickey Mouth Club. Totally obnoxious. And a brown-noser to boot. Nobody at Montrose Middle School could stand Lydia Beals. Including me." The "Snob Squad" starts out as a band of misfits who are wary of one another, but end up by having the "most improved time" in the relays. As Jenny says, they're no longer as "slow as Saskatchewan." This is a quick and enjoyable read for ages 9 and up. There are two other titles in the series, which I would plan to read. Julie Anne Peters sounds as funny on her website as she does in her books. I also enjoyed this interview with her by Cynthia Leitich Smith. Yes, it's mid-January--a time when Mafioso of every stripe arise from hibernation. The Don's leaf "clean-up" operation is going great guns (pardon the pun!) blowing leaves into the gutters of harried homeowners, and then charging a hefty fee for their removal. ("Hey, a man's gotta put food on his table, Michele.") As for my immediate family, my wife Marie has recovered almost completely from her surgery in December and returns to work full-time on Monday. Thanks to all of you who sent well-wishes her way. 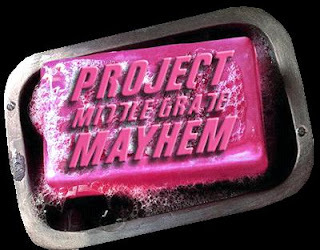 Middle Grade Mafioso has quite a busy schedule planned for the early part of the year. We're chomping at the bit to review the Cybils' middle grade titles we've been reading, as well as a couple of other books which have come our way. However, the code of silence (which, of course the Don loves) means that the Cybils have to be kept under wraps until the winner is announced sometime in February. To keep you busy till then, keep abreast of the goings on over at Project Mayhem, the wonderful group blog of which I'm honored to be a member. We've added FOUR new writers to the team--Dianne Salerni, Chris Eboch, James Mihaley, and Lee Wardlaw--after receiving a bunch of amazing applicants. There is so much talent out there!! But for right now, scoot on over to my review today of THE SECRET ROOM by German writer Antonio Michaelis, and please leave a comment. 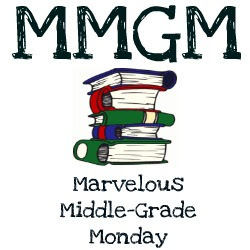 Also, on Monday, Marvelous Mike Winchell will be unveiling a middle grade contest in which the winner's manuscript will be sent on to his agent, Alyssa Eisner Henkin. The Don's offered to throw in his yard-cleaning crew as a prize, but I've persuaded him that an ice chest of gelato might be more welcome instead. Of course, if the other famiglia hear about these goings on, all bets are off. Till then, Happy New Year to you all. Let's hope it's a superspecial one.